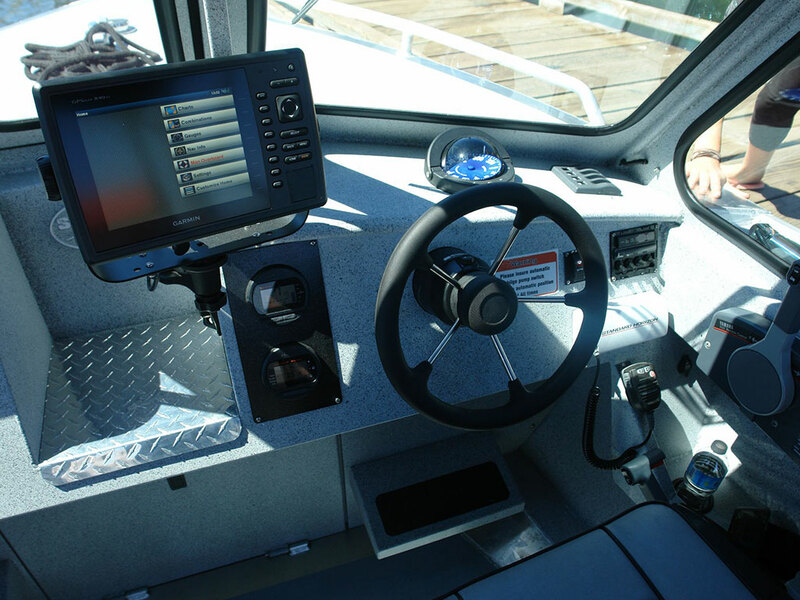 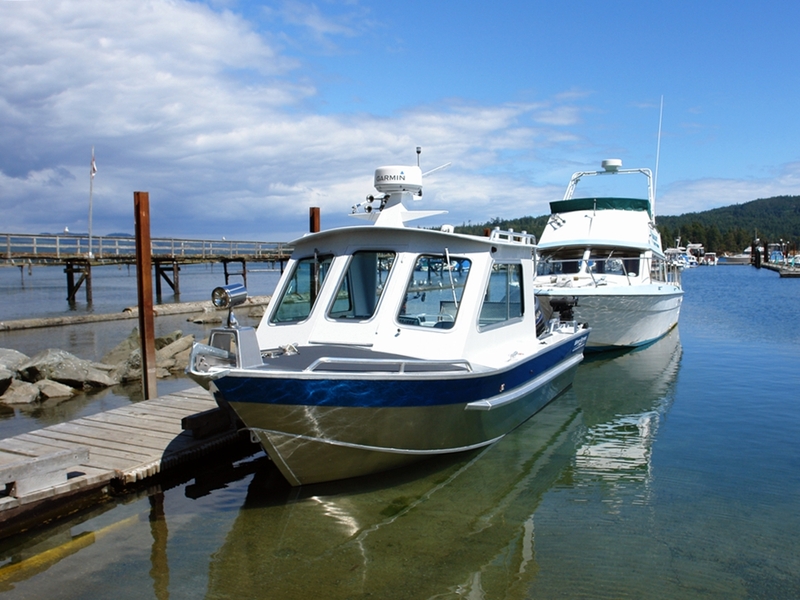 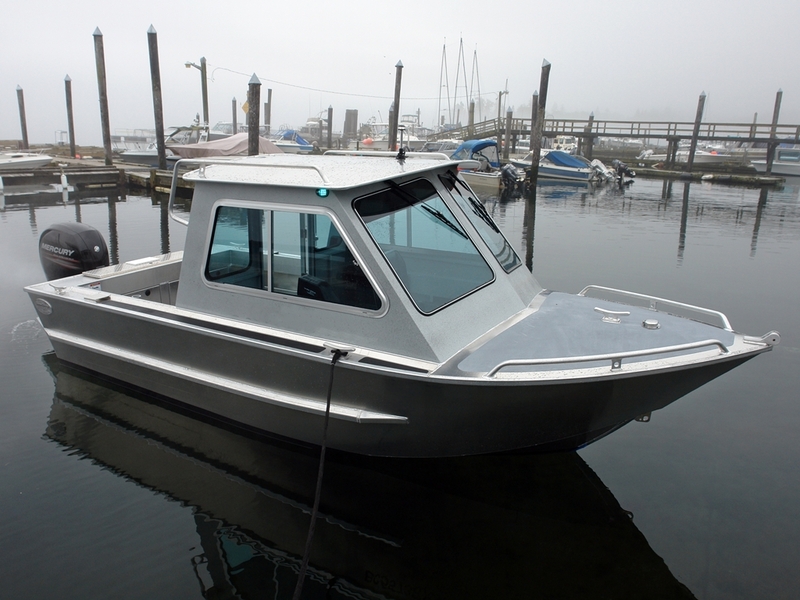 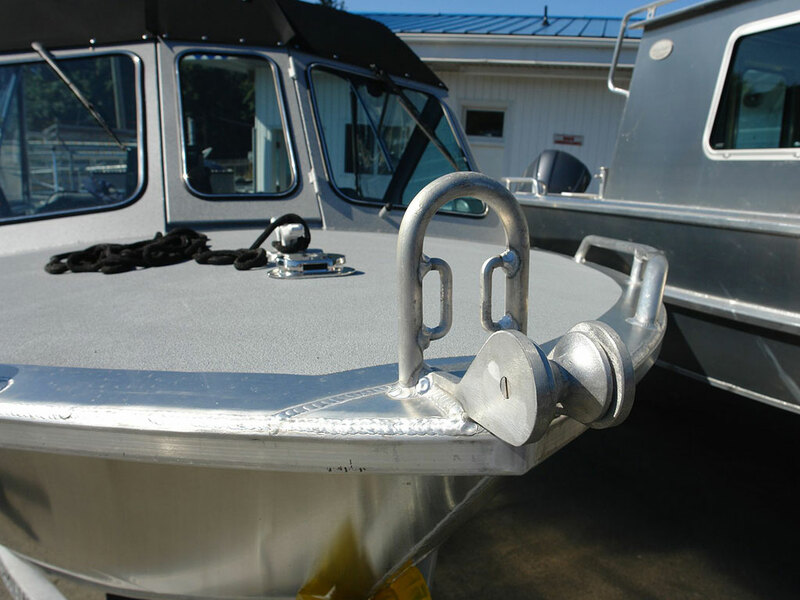 Big brother to the Challenger with a ¼ hull plate and a full 8'-5" beam, this vessel was made to handle rough seas. 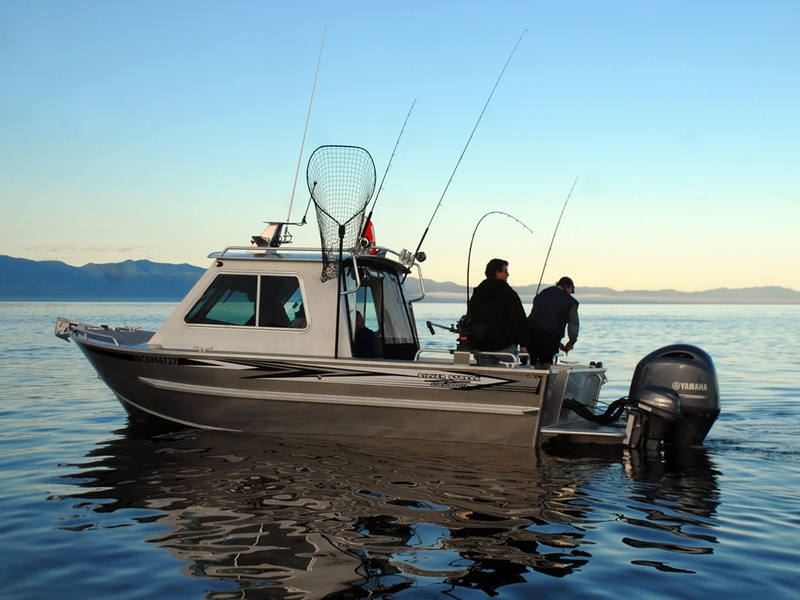 The Renfrew is quickly becoming the #1 choice for many discerning fishing lodges and charter companies. 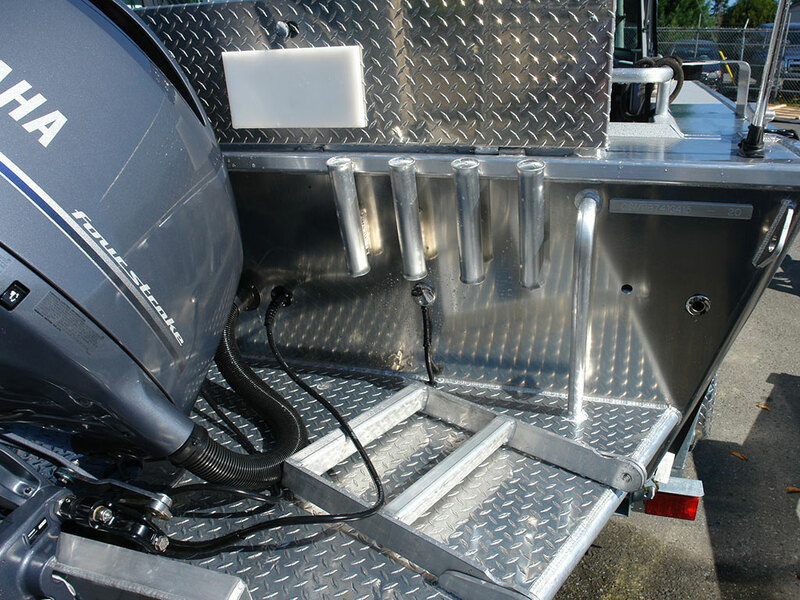 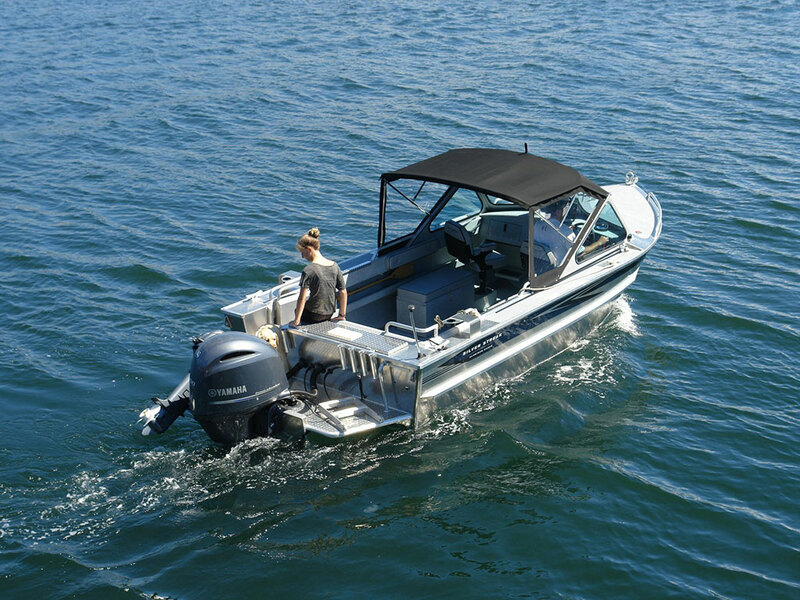 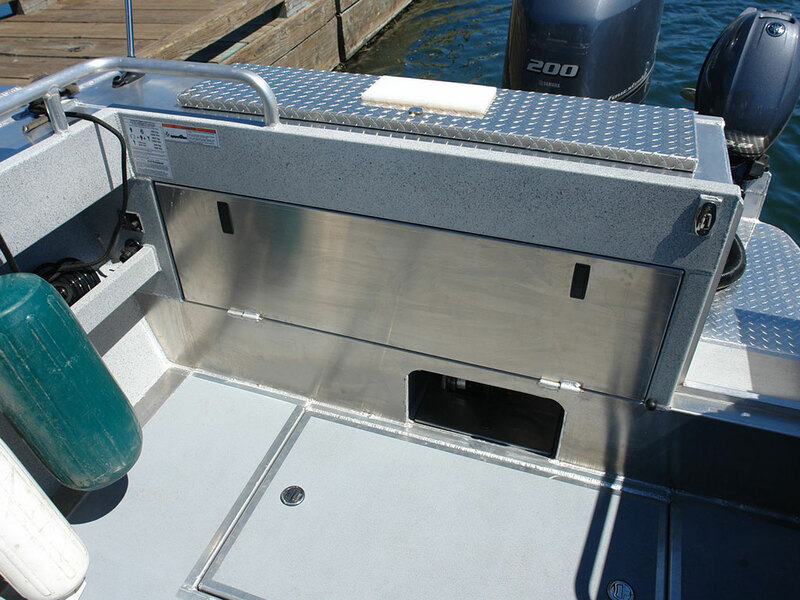 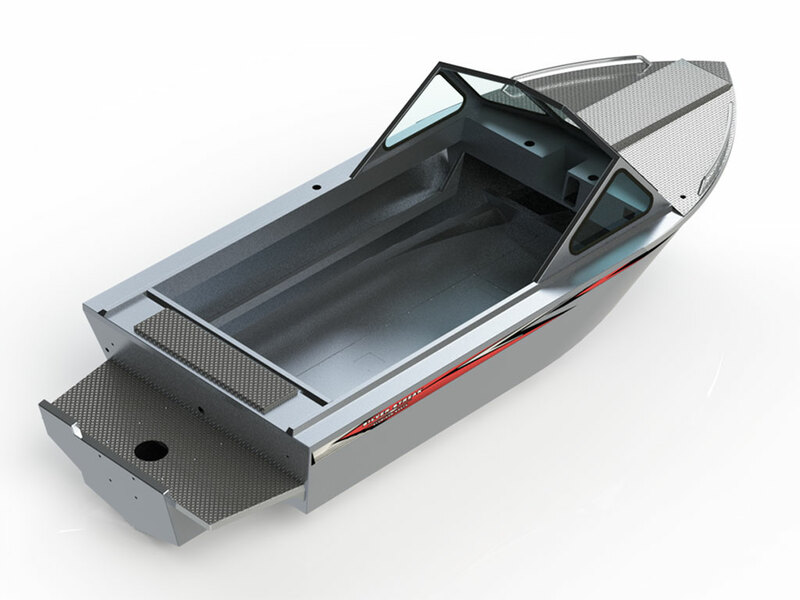 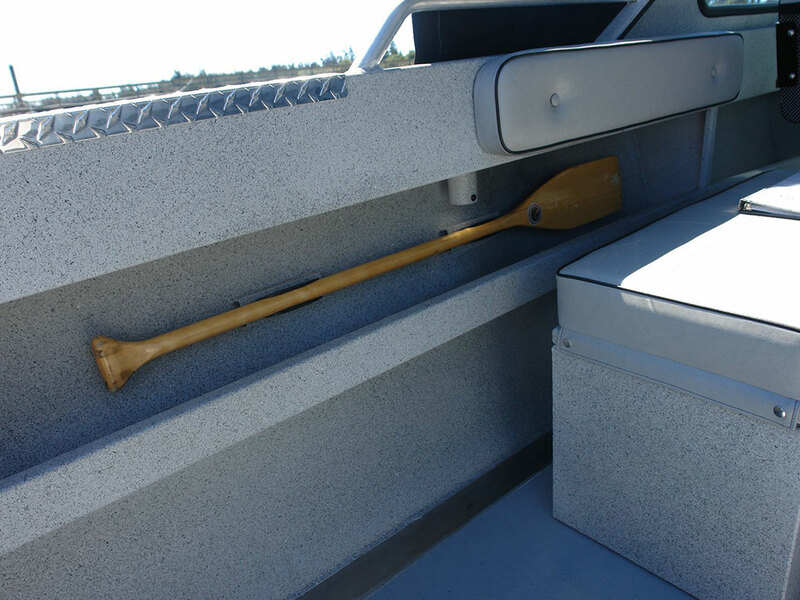 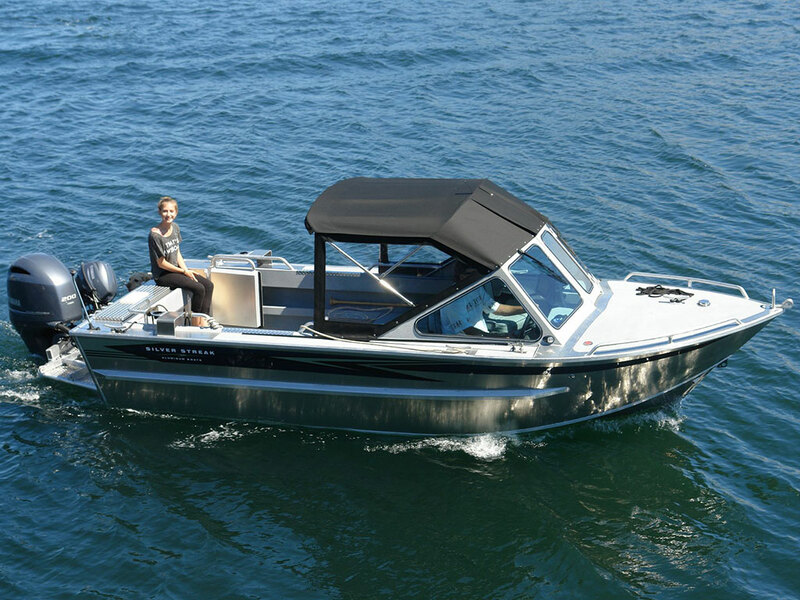 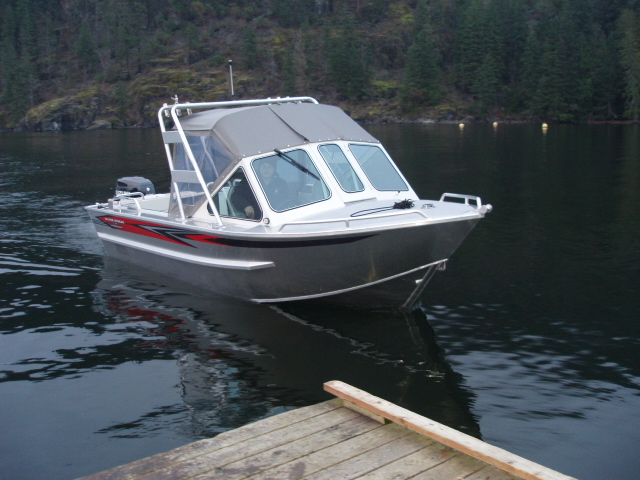 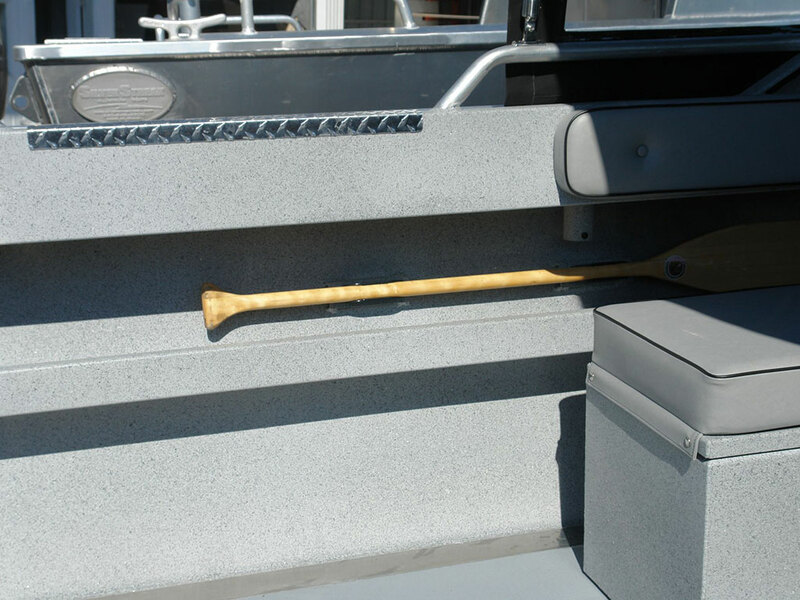 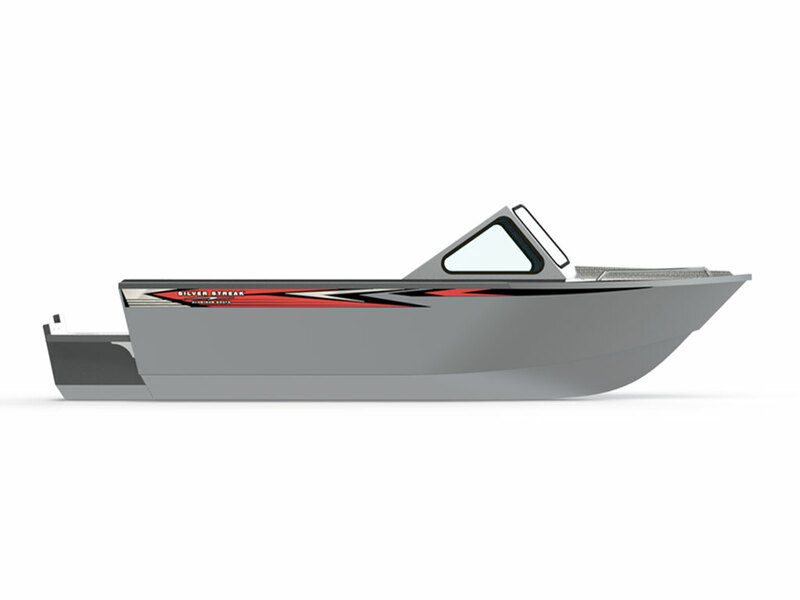 The extra size allows it to reach any of the remote fishing spots with full crew and gear. 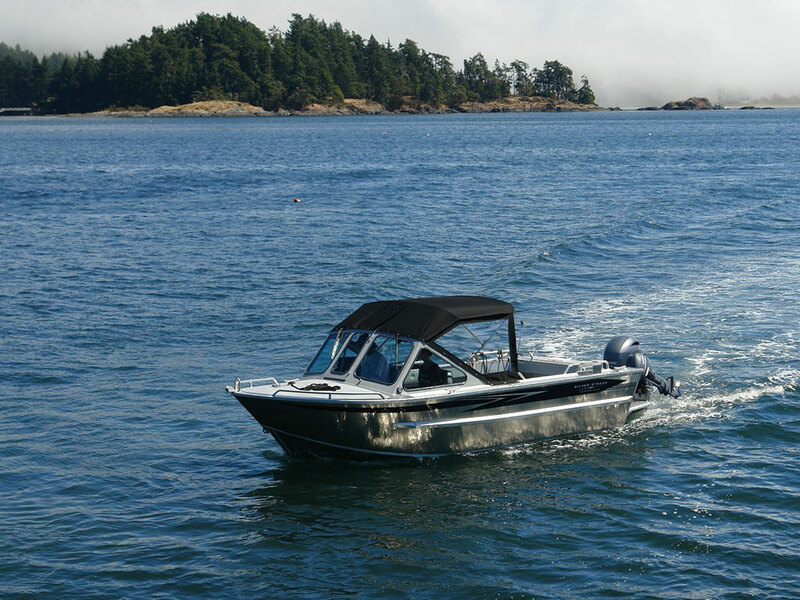 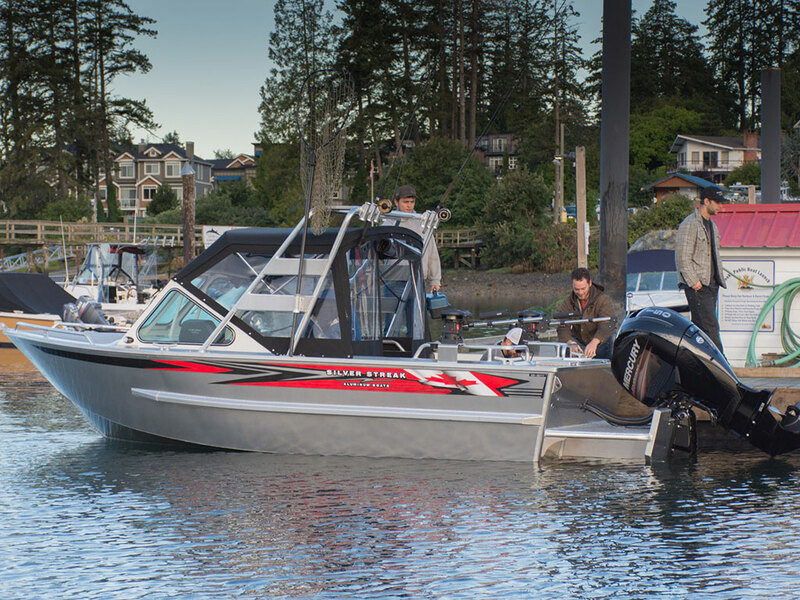 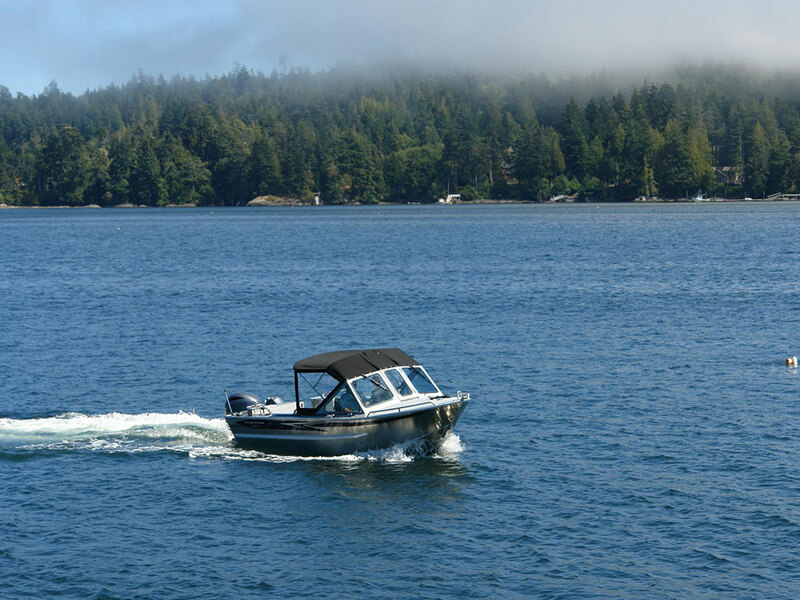 Surpassing the expectations for most recreational use, this professional’s choice is a serious boat and excellent investment for any enthusiast. 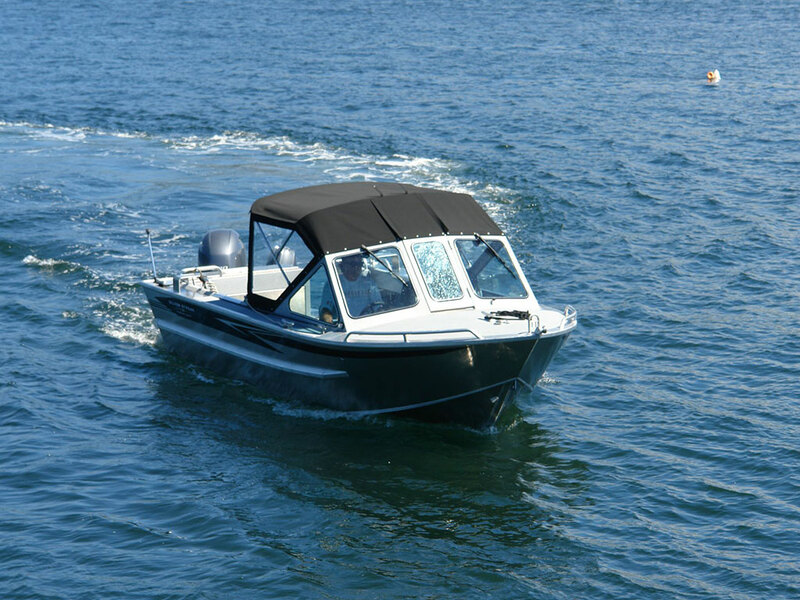 Highly versatile and lightweight, it stores easily - just put the canvas top down and roll in. 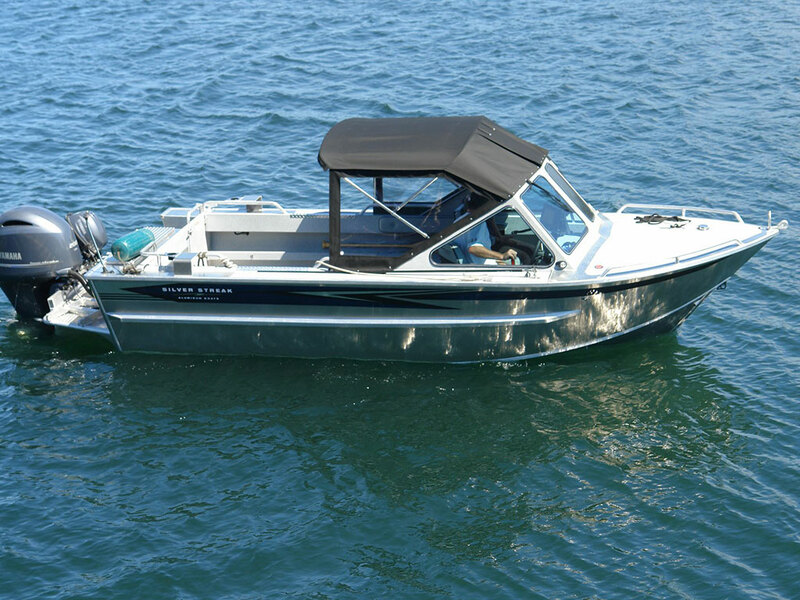 Add an arch for fishing and rod storage, and a tow post to pull the kids around the lake! 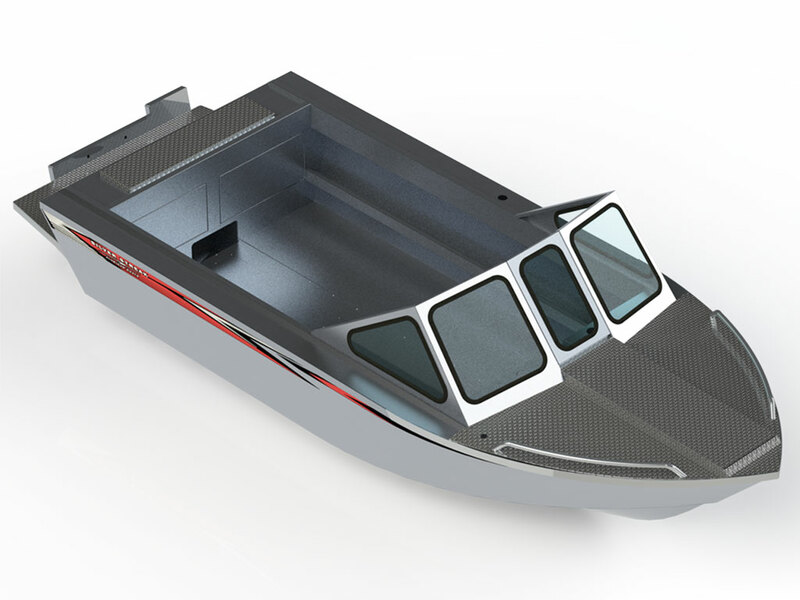 I just wanted to thank Silver Streak for a great job in building us a new 30′ water taxi that was delivered on time, with no defects and in a clean, turn key condition. 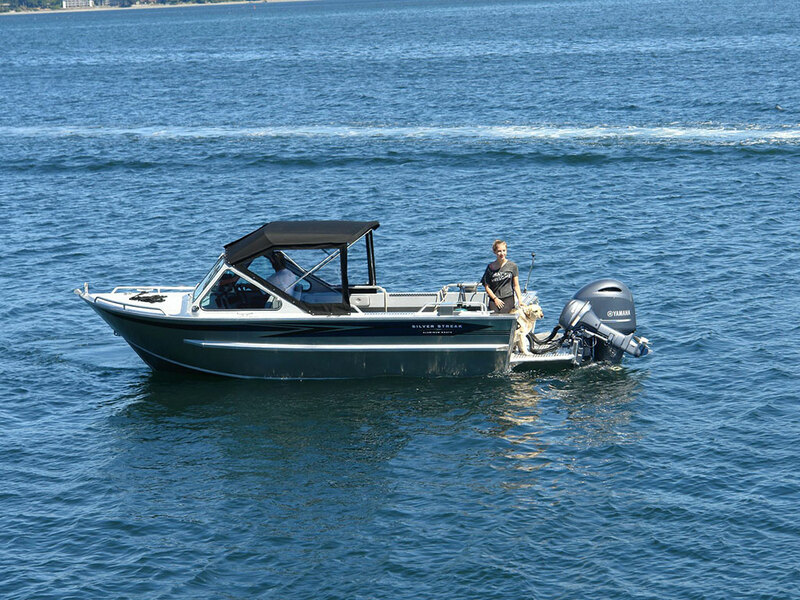 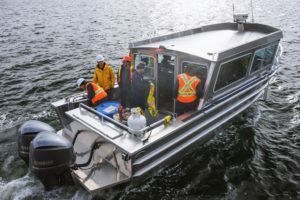 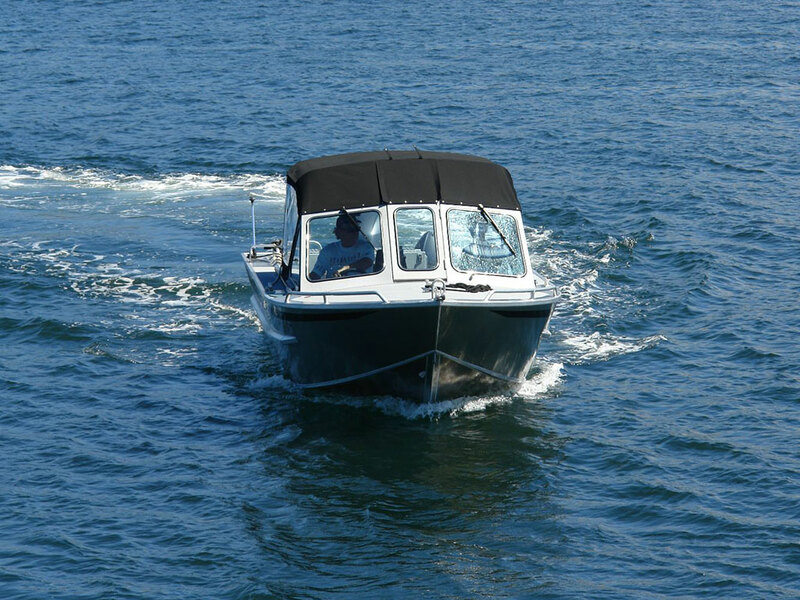 I took the boat out for its first run in all but ideal sea conditions, and I must say I was very impressed with the performance of the hull in tough seas, as well as the maneuverability. 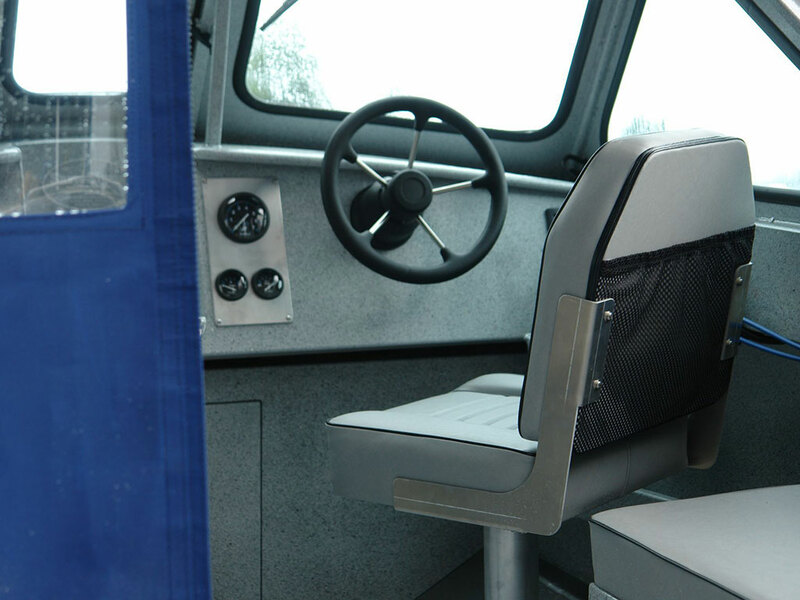 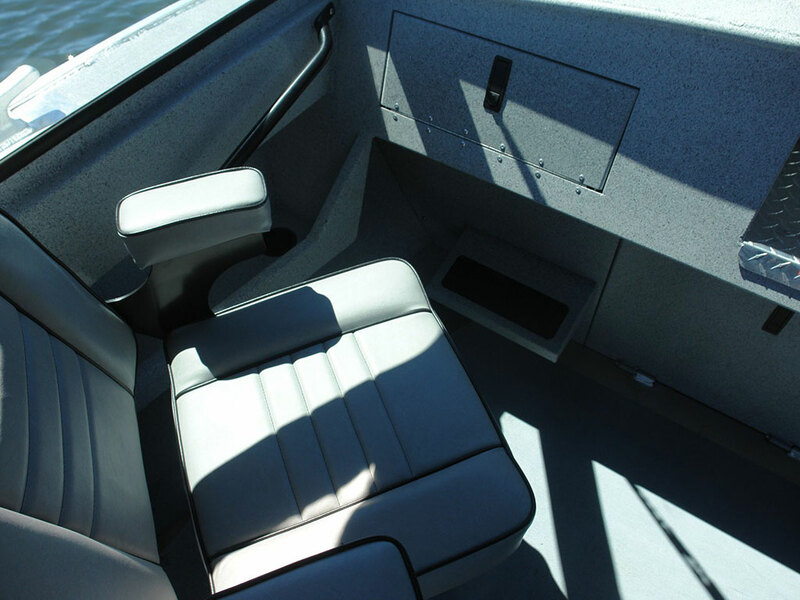 The boat has exceeded my expectations in performance and the well designed layout makes the cabin and cockpit space very roomy which is a great feature. 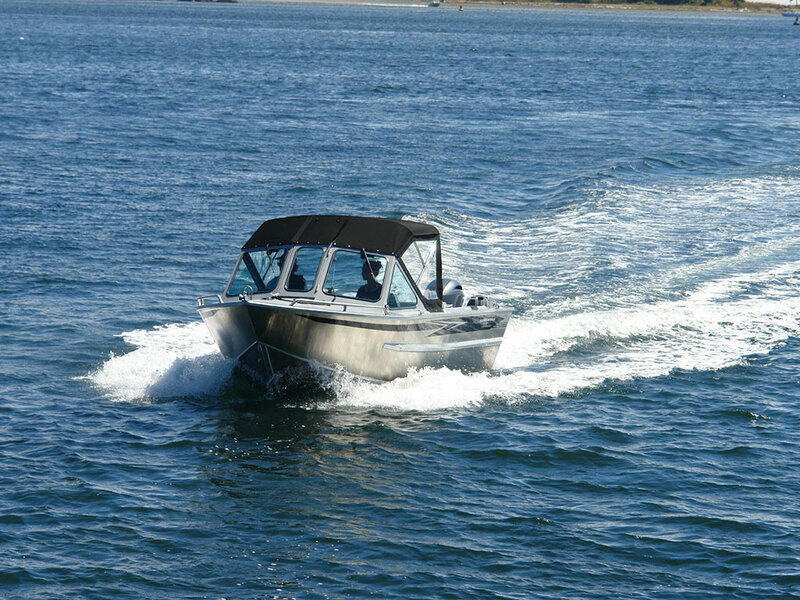 I would have no problem recommending Silver Streak to others. 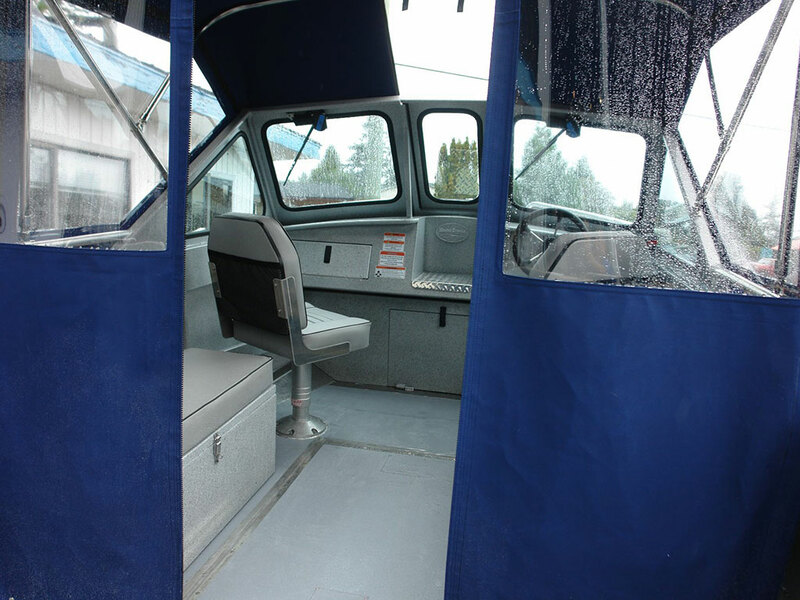 I want to also thank Travis at Boatland for his great work on managing this build from the buyer’s perspective, taking time to ensure we were constantly updated and on schedule for the build process.